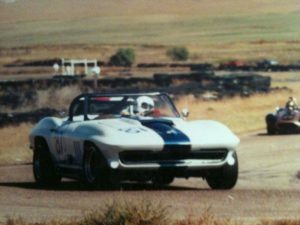 As a former race car driver, I certainly learned quickly that when I was spinning my wheels I was losing time and usually the race. In the business world, spinning your wheels is exhausting. It may feel as if you are getting nowhere… and you may even doubt you have the energy necessary to drag yourself through the day. That is a lack of traction. You can stay where you are, doing the same old thing you have done up until now, or you can learn to shift what you are doing so you can move forward. I was speaking to a group of general managers of a large corporation. Twenty minutes into my talk, I felt helpless and confused because everyone was sitting there like lumps, completely unengaged. I had never experienced this kind of reception to one of my workshops. I knew what I was capable of, but felt like I was failing at the task I had been hired to do. This was going to be a very painful two hours for all of us. We were certainly spinning our wheels. In spite of my efforts to move forward we were stuck. In a moment of liberating inspiration, I broached the question, “Okay, what is going on? Why are all of you just sitting there looking bored and uninspired?” My heart was pounding with fear as I waiting for the answer. The revelation was shocking it turns out no one had told them why they were there. This was not the answer I had expected at all! The meeting had been put on their calendar with no explanation or title. Once we clarified why I was there and what our goals were, the group became lively and engaged. By having the courage to ask the question, I was able to identify the problem and inspire the group to participate. We were now back on track. In spite of what you may think, when you find yourself spinning your wheels it’s not necessarily because of your manager, co-worker or the company. These external forces are all contributing factors, but it is how you deal with whatever is going on in your work situation that causes you to lose or gain traction. The process for change begins with you! Pay attention when you are feeling exhausted or overwhelmed. Take time to determine why you are feeling this way. Ponder what needs to be changed. Don’t take responsibility for other people’s moods. It’s usually not about you. Shift from feeling powerless to accepting you can become an instrument of change. When you encounter a difficult situation, remember the story is not necessarily finished. Have the courage to come back and dig deeper to find out more.